An electromagnetic pulse (EMP) is a very real threat. Not only have EMPs been weaponized, meaning that a rival military force could use one against the United States, terrorist organizations have also adopted the technology. If that weren’t enough, scientists acknowledge that a large solar flare could produce a natural EMP powerful enough to disable electronics around the world simultaneously. Although an EMP event may seem more like a science fiction movie, it could very likely be the event that catapults the world into an apocalyptic frenzy. An EMP is typically characterized by short bursts of electromagnetic energy across a range of frequencies. Although not an exact comparison, the range of frequencies experienced during an EMP is most comparable to the difference between very low frequency AM radio transmissions and the much higher FM spectrum. This means that EMPs are capable of disrupting a large number of devices across a broad spectrum of frequencies. The source of the EMP can be radiological, electrical, or magnetic. EMPs are actually a common occurrence; however, most of them are very weak in nature and do not affect surrounding electronic equipment. For the purposes of this guide EMPs refer to large scale pulse events that have the potential to permanently disable electrical and electronic devices. Natural EMPs are created by lightning discharges and by solar flares. Lightning is a very powerful natural event but the electromagnetic pulse created is relatively localized. Lights may flicker in the presence of a large lightning discharge but the effects are usually not much more severe than that. A massive solar flare could produce an EMP so powerful that every electronic device in the world could be disabled instantly. No solar flares have ever been recorded that are even close to the size required to generate an EMP of this magnitude but the possibility is greater than ever based on studies of the sun. Weaponized EMPs come in three forms. Nuclear, high altitude, and non-nuclear. Whenever a nuclear blast occurs a very powerful EMP is generated. Some nuclear weapons are currently being manufactured for the sole purpose of generating an EMP blast instead of physical damage caused by the explosion. A high altitude EMP is created when a nuclear device is detonated at a high altitude. These are the most powerful man-made EMPs as the EMP waves are made stronger by interactions with the Earth’s magnetic field. Non-nuclear EMPs are a more recent development and are used more as a localized solution during battle than a large scale weapon. 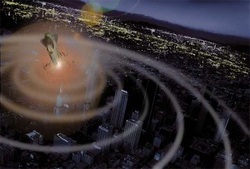 Although the effects of a man-made EMP are very serious, it is considered a somewhat localized event. A high-altitude EMP blast could knock out the electrical grid in large areas of a country but it is not a global phenomenon. This increases the likelihood that the effects will not be permanent as unaffected areas try to help. However, the effects of fallout from a high-altitude nuclear detonation have not been studied in great detail. Radiated debris could add another dangerous facet to this already devastating attack. Depending on the strength and intensity of an EMP blast, the world could be sent into the dark ages in an instant. A solar flare, for instance, could disable electronics and communications devices around the world indefinitely. Even a more localized event could leave entire states or even countries without power or any other form of technology. Once the lights go out, the real consequences of an EMP begin. Like any other apocalyptic event, riots and widespread violence will follow. People will begin to realize the gravity of the situation within a few days. At first, many people will shrug off the power outage as a temporary setback akin to a bad storm damaging the local power grid. It won’t take long for society to comprehend the seriousness of the situation at which time things will quickly deteriorate. Every electronic device you have will be destroyed following an EMP unless you have taken steps to protect them from the pulse. A common method to protect electronics is discussed in Part 3. Even if you protect some things, it is impossible to protect everything; especially large items like vehicles. All modern vehicles rely on complex electronics to run. Without them the vehicle will not start or run. Any electronic devices you have set aside for survival are going to be inoperable. This includes GPS units, radios, electronic fire starters, and every appliance in your home. The power grid will not come back on for months if it does at all. There will be no media, no TV, no radio broadcasts. Essentially, there will be no way for you to find out new information about what is going on. The best course of action is to assume the worst and put your survival plan into action. Waiting for something bad to happen usually doesn’t end well. Just about every manufacturing process currently used relies on electricity meaning that new products cannot be made instantly. Picture a world similar to when electricity was first introduced to general public and massive infrastructure projects began to create the grid as you know it today. A similar phenomenon will occur following an EMP assuming that societal breakdown does not destroy any chance of overcoming the disaster. People everywhere will begin searching for anything that can help them survive. Since the majority of people have not made preparations for post-apocalyptic survival, they will be frantically searching for answers and solutions for their circumstances. The world will be an exceptionally dangerous place as everyone struggles to survive. Now that you have an understanding of the many far-reaching consequences possible in the wake of a massive EMP, the next step is learning tactics that allow you to survive in these conditions without the assistance of technology while avoiding the droves of people that are not equipped with this knowledge that have resorted to violence as a means of survival. Parts 2 and 3 discuss tactics you can use to increase your chances of survival during this chaotic time. The following was written by Ambassador Henry Cooper and we share it with permission. High Frontier . . Building Truly Effective Defenses . . . Reagan’s Vision Lives! Quick Fixes to Counter the Existential EMP Threat! As discussed below, we have relatively inexpensive near-term options to counter this existential threat, if we but choose to do so. Iran and North Korea are collaborators—Iranians for years have been present at North Korean underground nuclear tests and ballistic missile and satellite launches. And we knew long before 2004 that Russia had this EMP threat capability and was contributing to its proliferation, including to China, North Korea, Pakistan and Iran. We should presume that they, and others—including jihadi terrorists, understand the possibilities. Many who have argued that the terrorist threat has been reduced now acknowledge current Middle East and East Asia instabilities are worse than ever. Most importantly, they acknowledge that American citizens are involved in jihadi activities such as the Islamic State of Iraq and Syria (ISIS)—considered to be more extreme than al Qaeda. ISIS has taken over major sections of Iraq and Syria, and is seeking to establish a Caliphate throughout the entire region. They can be expected to join forces with others, eventually to bring the jihadi threat to America—including with nuclear weapons if they can obtain them. More in future message. Click here for an informative 2011 Heritage Foundation conference on EMP—especially the keynote address by former Congressman Roscoe Bartlett, who relates the discussions he and several other congressmen had in the late 1990s with former Soviet military officers who discussed their Cold War plans to employ an EMP attack on the U.S.—this discussion in part led him and others to charter the EMP Commission which reported its classified findings in 2004, backing up its unclassified executive summary, and in open source form in 2008. Click here for these important authoritative reports. Mr. Bartlett introduced legislation three congresses ago to assure that our electric power grid is hardened against EMP—and it and subsequent similar proposed legislation have been blocked now for five years--the current version is bottled up by the Chairman of the House Energy and Commerce Committee. And the alarming threat continues to grow—and is now imminent as Woolsey testified. There is wide awareness of the threat of intercontinental ballistic missile (ICBM) attack by North Korea and Iran, but based on our current plans apparently not of other important threats that they pose. For example, both North Korea and Iran have launched satellites—notably to their south so that they orbit over the United States from south to north—capable of carrying a Super-EMP device over the United States at an altitude that would expose the entire continent to EMP. And Iran long ago launched a ballistic missile from a vessel in the Caspian Sea and appeared to practice a high-altitude detonation—like that of an EMP attack. Thus, we should wake up to “this open back door” and shut it while also improving our defenses against attacks from the north—the current focus of efforts to locate an additional east coast BMD site to defend against Iranian ICBMs. We have no time to waste--we should deploy improved defenses as quickly as possible, to reduce or end our current vulnerability, as the case may be. Happily, we have already developed, ready options to do so—particularly by adapting our sea-based Aegis BMD ships (30 at sea today, growing to 35 by 2015) and the Aegis Ashore BMD system we are deploying in Romania and Poland. Click here to view a 2-hour video of the June 26th Capitol Hill Independent Working Group (IWG) conference on the current status and plans for the Aegis BMD system. Click here for my previous discussion of this important conference. Consider the possibilities for using Aegis BMD as a “quick fix” to the threats. Defense against Threats from the North. The Pentagon is focused on deploying a ground based missile defense (GMD) site, like those in Alaska and California, somewhere in the northeastern U.S. to help defend against Iranian ICBMs. It will take time—years—to conduct the Environmental Impact Studies and to develop and deploy an improved interceptor capability. While this acquisition effort proceeds, there is a way to improve the defense of the eastern seaboard against Iranian ICBMs almost immediately, requiring no development, as illustrated below. With already-being-produced TPY-2 radars deployed in Maine and North Carolina (white dots), the current-fully-funded plans for already-deployed Block IA and IB Aegis Standard Missile-3 (SM-3) interceptors can provide defensive coverage of the eastern seaboard as indicated in the left-hand figure—from ships operating or in port along the east coast. My understanding is that on a day in 2012 chosen at random there were 4-6 ships either in transit or in port along the east coast. So, all that is required, once the TPY-2 radars are in place, is operationally prepared crews on these ships. This should not be a challenge because all of the testing of the Aegis BMD system has been conducted by operational crews—and their impressive track record is 28 successful intercepts out of 34 attempts. It should be understood that the Block IA interceptor in 2008 was used to shoot down the exact same target intermediate range ballistic missile (IRBM) that was successfully intercepted a few weeks ago by the GMD system on its third try. The Block IA was also used in 2008 to intercept a dying satellite that threatened to spread its toxic fuel over populated areas—and this target was flying faster than an ICBM. If that shoot-down is counted then the Aegis test record is 29 intercepts out of 35 attempts. The faster Block IIA, with coverage illustrated in the middle figure above, is in funded development for operational deployment by 2018 at an Aegis Ashore site in Poland—Block IIA interceptors might be available sooner for ships along the east coast. In this case--with a single TPY-2 radar in Maine, the defense footprint would extend to the Mississippi River. Click here for Raytheon’s discussion of its Standard Missile programs already funded and programmed for deployment in the Obama administration’s European Phased Adaptive Approach (EPAA)—including additional details on the Block IA, IB and IIA interceptors. These programs, which provide the basis for defending Europe against Iranian ballistic missiles, also provide the basis for defending the United States east of the Mississippi River against Iranian ICBMs as suggested by the left two charts above—our sailors just need to train and operate to do so. A SM-3 interceptor with a 30-percient greater burnout velocity than the Block IIA would produce the footprint in the right hand chart—extending defensive coverage against Iranian ICBMs to the entire continental U.S. This should be an achievable goal for developing an advanced light-weight kill vehicle—a good advanced technology insertion project for the Defense Advanced Research Agency (DARPA), if not the Missile Defense Agency, to seek a workable product within three years. This progression of capability will also provide a capability, supplementing that of our Alaskan GMD site, to shoot down satellites carrying nuclear weapons over the north polar region, to implement an EMP attack. Defense against Threats from the South. As previously discussed (Click here. ), Aegis BMD ships can use their SM-2 Block IV air defense interceptors to shoot down satellite launches during their boost phase, provided the ships can get close enough to the launch sites—which is feasible for satellite launch sites used previously by North Korea and Iran to launch their satellites over the south polar region. Other Aegis BMD ships operating in the Pacific also may have a shot at North Korean and Iranian on-orbit satellites headed over the south polar region provided they have sufficient cueing from upstream sensors and needed authorization to conduct the intercept. (For example, a TPY-2 radar in the Philippines could provide this “upstream cuing” capability.) And the Aegis BMD radar systems can provide cuing and tracking information to help enable the Vandenberg AFB, California GMD system to shoot down satellites before they arrive over the U.S. from over the south polar regions—again provided appropriate authorization is provided. The key problem needing to be solved is to pre-authorize the Captain on Aegis BMD ships to shoot down such satellites immediately; there is insufficient time for consultation with others before the satellite is in orbit and can outrun the SM-3 interceptors then in a tail chase. Thus, we proposed a companion diplomatic approach to assure this timeline can be met—namely that we announce we will shoot down any satellite launched without a pre-launch inspection to assure the payload contains no nuclear warhead. This can be accomplished unintrusively, by employing the negotiated verification procedures used to verify the U.S.-Soviet/Russian INF and START Treaties. The International Atomic Energy Agency (IAEA) could perform this function. As noted by former CIA Director Woolsey, there is the existential EMP threat posed by rogue states and their surrogates—even jihadi terrorists, if they mate a nuclear weapon to even short or medium range ballistic missiles and launch them to high altitude over the U.S. where it is detonated. Our at-sea Aegis BMD system provides a tested capability to counter this threat if an Aegis BMD ship is near the vessel launching the threat EMP attack and its crew is prepared to intercept the threatening launch before it can detonate the nuclear weapon. We usually have such ships near our east and west coasts, so the only issue is to be sure that their crews are appropriately trained to conduct this defensive measure. However, our Aegis ships do not usually transit the Gulf of Mexico—so we are vulnerable to threats from rogue or terrorist vessels in the Gulf—or from central America. Thus, we need an effective counter to this threat—and one can be derived from the above discussed Aegis BMD funded program. The most straight forward counter to the threat from vessels in the Gulf of Mexico and Central America is to deploy on military bases around the Gulf of Mexico the same Aegis Ashore system as we are building in Romania (2015) and Poland (2018). If we can afford to defend our allies, we can certainly afford to defend the American people against this existential EMP threat. There would be no development cost for building these sites—except for site preparation, because the Aegis Ashore system development is already funded. The Aegis Ashore configuration (requiring about a football field for siting) and several possible sites around the Gulf of Mexico are suggested below. For the current Block IA and IB interceptors, four sites may be needed—for the higher velocity Block IIA, perhaps fewer would be required. And Harden the Electric Power Grid! No defense is perfect. Thus, a minimum essential subset of the U.S. electric pow­er grid should be hardened to EMP effects, to assure that the nation’s critical infrastructure can be rapidly reconstituted following a successful nuclear EMP attack, should the defense fail. If hardened to EMP effects, the grid will also be hardened to a natural EMP event associated with a major solar storm—the converse is not true. Hardening the grid against solar storms does not assure hardening against an EMP attack. Solar storms and high-altitude nuclear events both can create lethal long-wavelength EMP effects, but major solar storms do not produce short wavelength EMP effects that also can collapse the grid. 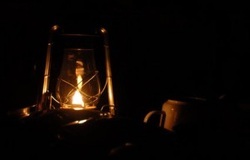 The nation’s survival can depend upon hardening of the electricity power grid to both natural and manmade EMP effects. Any strategy seeking to counter both natural and man-made EMP threats must include hardening electricity infrastructure and a robust mis­sile defense against an EMP attack. We are renewing our efforts to inform the state and local authorities—and publics—in states around the Gulf of Mexico of the important role their states can play in defending all Americans against the existential EMP threat. Given the lethargy in Washington, we will continue informing all who will listen about the existential EMP threat and expanding our work with the National Guard to help them gain knowledge and workable plans to help harden the electric power grid and counter the EMP threat. This work will go hand in hand with efforts of State legislators who are seeking to expand on the excellent work of those in Maine and Virginia, who have passed legislation requiring serious studies of the EMP threat and the needed countermeasures to protect the electric power grid. The most recent bill passed in record time without a single negative vote in Virginia can be used as a ready pattern. We are working with South Carolina National Guard to develop scenarios for tabletop exercises to help them understand how best to engage constructively with private citizens and their local and state representatives and other authorities to understand and respond to this serious threat. We will also support similar activities in neighboring and other states. We are informing SC state legislators and senators about the threat and what can be done to deal with it—hopefully they will follow Maine and Virginia in seeking to harden the electric power grid. We also expect support from Cong. Jeff Duncan (R-SC) whose district includes my SC farm—and who is a member of the Congressional EMP Caucus seeking passage of the Shield Act and the Infrastructure Protection Act, as well as other SC representatives. We will be working with members of the EMP Coalition and others who are seeking to take our message across the country--especially with Bob Newman, a former Adjutant General of Virginia, to help us link our SC plans more broadly and especially into Virginia and the National Capital region. Begin by passing this message to your friends and suggest they visit our webpage, www.highfrontier.org for more information. Also, please encourage your sphere of influence to sign up for our weekly e-newsletter. After an EMP attack, life will not be the same. Society will begin to crumble and law enforcement will no longer be available to help with emergency situations. One of the most important survival strategies following an EMP event is evacuation. This could be to a secure bug out location you have previously designated or to an area of the country not affected by the EMP. Getting to either your bug out location or even to just a less-populated area can prove to be a difficult challenge. All modern cars rely heavily on electronic components to operate and will be completely useless after an EMP event. Older vehicles are not as susceptible to complete failure because they rely more on mechanical processes for operation. An older model vehicle is defined as a vehicle manufactured in the1970s or before. The simpler the engine, the better your chances of being able to use that vehicle for travel. If you are fortunate enough to have one of these vehicles on your property, it may be ready to go right away. Worst case scenario, the battery and starter solenoid are damaged. These items are only used for starting the vehicle and can be bypassed by pop-starting the vehicle. If it is a manual transmission, simply hold in the clutch and push the vehicle until it reaches 5 to 10 mph before rapidly releasing the clutch. In an automatic, keep the gear selector in neutral while gaining speed and then quickly switch it into to drive. Once the engine on one of these older vehicles is started, the process is self-sustaining. Even in older vehicles, an EMP could disable the few electronic components that are necessary for operation. Specifically, these include the spark plugs and the distributor. These parts are inexpensive and small so it is advisable to keep an extra set of spark plugs and a distributor cap in your survival bag just in case. If an older vehicle is not present, other modes of transportation might include tractors, gas powered golf carts, or older model ATVs. Following an EMP it is not guaranteed that any of these machines will be fully functional but there is a good chance that they can help you travel faster than you would be able to on foot. The technological advances made by society during the Information Age will become serious drawbacks following an EMP event. Computers, the Internet, manufacturing facilities, and communications all rely on the power grid to function. Once the power grid has been disabled, all these operations will cease to function. That means no food on the shelves, no public water purification services, and no law enforcement to keep order. Scientists have estimated that most humans will only survive for 12 to 18 months after a large scale EMP. Society has become so dependent on technology that without it, very few necessities are going to be available. The mass population is not preparing; even the U.S. government is not prepared for the devastating effects of a large scale EMP. Supply lanes will be halted as they also rely on the power grid. Unfortunately, society has become so dependent on importing food that many areas cannot sustain themselves for even a week without food from outside sources. Think about a large city like New York or Los Angeles. These places have huge populations of people and no agricultural production of their own. Stores are 100 percent reliant on trucks to keep the shelves full of food and supplies. Potable water is usually transported from hundreds of miles away into these large metropolitan areas. These transportation systems require the power grid and without it, millions of people will instantly feel the effects. Storing your own non-perishable food supplies is an excellent way to avoid the immediate effects of the EMP. Although your supplies are finite, a couple months supply of food puts you in a position where you can carefully plan your long-term survival strategy. Water is another concern. The human body can only survive approximately three days without water. Without public water supplies, you need to have a large supply of potable water on hand or have methods for purifying your own water. Boiling, iodine treatments, and constructing a still are all excellent ways to purify water. Iodine treatment should be considered a short term solution because excessive exposure to iodine is harmful, especially to children and women who may be pregnant. Every modern home relies on either electricity or fossil fuels for heating. Some homes even use a combination of both to maintain a constant temperature throughout the structure. These services are not going to be available following an EMP. Air conditioning is a luxury that did not become mainstream until about 50 years ago. It is certainly not a necessity. Cold weather, however, is responsible for thousands of deaths each year. Exposure to freezing temperatures can bring the human body to its knees within hours. Even in desert climate zones, nighttime temperatures can often fall below the freezing point. Heating your home in a world devoid of modern conveniences is paramount. You have to look for heating methods that do not require electricity or fossil fuels. The single best option is to use wood. In most areas of the country, wood is a plentiful resource and can be used to efficiently heat a home. The wood stove is the easiest and most cost effective method of home heating. Available in a variety of sizes and styles, a wood stove provides heat and a hot surface perfect for cooking. Wood stoves have been used to provide reliable heating for centuries and in some parts of the country are still used as a primary heat source. In more moderate climates where temperatures remain relatively stable, a wood stove may not be required. Passive solar heating is often all that is required to maintain a constant temperature. Solar heating harnesses the power of the sun by allowing as much sunlight as possible into the home through windows during the day. The insulation of the home holds the heat in during the night. This type of heating can be used anywhere but in colder climates it should be considered a supplement to a wood stove or other heating source. Cooking without electricity or other public utilities doesn’t have to be difficult. If you are using a wood stove for heating (as described in Part 2), the hot surface of the wood stove provides an excellent platform for cooking most meals. Standard pots and pans can be placed on top of the stove and heat up as efficiently as a standard stove top. In addition to the wood stove, many cooking duties can be performed by a solar oven. A simple solar oven can be constructed in under an hour from readily available materials. A cardboard box, some black paint, aluminum foil, and a old pane of glass are all that’s required to make an efficient, sustainable cooking solution. Solar ovens are an excellent survival option because they do not require maintenance, have no moving parts, and it is nearly impossible to burn food cooking in this manner. On a sunny day, the internal temperature of a solar oven can easily reach temperatures of 200 degrees; plenty of heat to cook any meal without burning. A solar oven does require significantly more cooking time than a conventional oven so it is advisable to put a meal in the oven in the morning and expect to have it ready in time for dinner. Although it isn’t practical to protect most of the electronics in your home there is certainly value in protecting some things from permanent damage. TVs, personal computers, and MP3 players won’t do you much good in a post-apocalyptic world. Shortwave radios, weather radios, flashlights, and power generation equipment could become very helpful following an EMP and should be protected whenever possible. There is a method designed to protect electronics from strong electromagnetic pulses known as a Faraday cage. Named after a scientist who discovered the designs ability to shield equipment from electromagnetic waves, a Faraday cage is a versatile tool that can be constructed very easily in any size depending on your needs. Contrary to the name, a Faraday cage doesn’t have to be a cage at all. Commercially available units are commonly made in a cage configuration using copper mesh and solid aluminum but a simple Faraday cage can be made using aluminum foil and a steel trash can. When constructing your own Faraday cage, you have to consider how many devices you are trying to protect. This dictates the size of the unit you are creating. A steel trash works well for a few household items but it is hardly big enough to fit a portable generator or other electrical device that you may need following an EMP attack. Maybe you decide that you want to ensure the functionality of your vehicle. This requires a large Faraday cage. Many survivalists have successfully been able to successfully convert their garage into a large, walk-in Faraday shielding device capable of protecting a vehicle and many other household items that could be useful in a survival situation. This can be done by constructing a cage of fine mesh caging inside the entire garage. The mesh has to protect the entire area including any doorways in order to be effective but just imagine how many electronic devices you could protect in a standard size garage with built-in Faraday shielding. For those with more modest shielding goals, the steel trashcan makes for an excellent solution. The key to protecting electronics from an EMP is multiple layers of shielding. The more insulation from the electromagnetic pulse, the more likely it is that your electronics will remain functional after an event occurs. The first step in constructing the trashcan cage is to assemble your electronic devices and put them into non-conductive packaging. This could be small cardboard boxes, shipping envelopes, or similar. You can fit multiple small items into a single container or separate them into individual packages. Once they are securely packaged, wrap each box in at least two to three layers of heavy-duty aluminum foil. This is the first layer of protection against an EMP attack. Unfortunately, this layer of conductive material is not enough. This is where the trashcan comes into the equation. The steel trash can acts as a second layer of protection. For this to work, the aluminum foil wrapped containers cannot touch the metal of the trashcan at all. If it does the cage will often work more like an antenna and amplify the EMP waves. An easy way to ensure they do not contact the trashcan is to line the inside of the trash can with thick cardboard. The bottom, sides, and even the lid of the trashcan should be completely covered in cardboard so there is no risk of metal-to-metal contact. Items can now be stored in the trashcan and should be impervious to most EMP attacks. Since an EMP can occur with little or no notice, it is best to have a supply of extra electronic devices that can be permanently stored in the Faraday cage until after an EMP has occurred. Place the items in the trashcan, make sure the lid is securely fastened, and place it in a safe location until the day when they are required arrives. As previously mentioned, larger cages can easily be made depending on your needs. Maybe you have a portable generator that you plan on using for survival. Solar panels, wind turbines, and other large survival-related electronics require a much larger enclosure. Instead of using a trash can, consider converting your garage or a small storage shed into a Faraday cage by using fine mesh fencing and surrounding the inside of the enclosure. This includes the floors, roof, and all four sides. If there is an opening in the mesh, the pulse will find its way through and damage your electronic devices. CONGRESS WANTS MORE ANSWERS ON EMP THREATBy: Josh Peterson 6/25/2014 08:42 AM This article originally appeared on watchdog.org. ​What is an electromagnetic pulse (EMP)? An electromagnetic pulse (EMP) is the electric wave produced by nuclear blasts that is capable of knocking out electronics and the electrical grid up to 1,000 miles away. The disruption could cause catastrophic damage and loss of life if power is not restored or backed up quickly since millions of people would die of starvation and sickness in a few months. An electromagnetic pulse (EMP) over the United States could end modern life in America overnight. Whether caused by an enemy attack (a nuclear device detonated above the atmosphere) or by a natural phenomenon (a geomagnetic storm or solar flares), an EMP can cause entire regions of the country to lose electricity permanently. Despite the EMP Commission’s recommendations in 2004 and 2008, hardly any progress has been made in protecting America from an EMP nuclear attack or by solar flares and its catastrophic results. America must prepare to deal with an EMP immediately. While the ability of an electromagnetic pulse (EMP) to inflict catastrophic damage on U.S. infrastructure has been a known fact for decades, insufficient efforts have been made to mitigate the threat. A survey of congressional, federal, state, local, and international measures to deal with the threat reveals more complacency than action. In order to prevent the catastrophic destruction that could result from either a nuclear missile detonated at high altitudes or intense solar eruptions that send blasts of radiation towards the Earth, initiatives are needed at all levels—from bilateral partnerships that focus on shared infrastructure to national leadership to state and local action. The knowledge that an electromagnetic pulse (EMP) is produced by a nuclear explosion was known in the earliest days of nuclear weapons testing. However, the magnitude of the enormous damage produced by an EMP nuclear explosion was not immediately realized. In 1962 during Cold War, the U.S. military exploded a nuclear weapon high above an atoll in the Pacific Ocean. The test was called Operation Starfish. It was part of a larger project to evaluate the impacts of nuclear explosions in space. The missile was launched from Johnson Island 898 miles from Hawaii. It was armed with a 1.4 megaton warhead programmed to explode at 240 miles above the earth. When the nuclear weapon detonated, it resulted in an electromagnetic pulse (EMP) powerful enough to impact the electric grid in Hawaii, blowing out about 300 streetlights and resulting in telephone outages and radio blackouts. William Robert Graham was born on June 15, 1937 in San Antonio, Texas. He was Chairman of President Reagan’s General Advisory Committee on Arms Control from 1982 to 1985 and Science Adviser to President Reagan from 1986 to 1989. Dr. Graham chaired the statutory Commission to Assess the Threat to the United States from Electromagnetic Pulse (EMP) Attack from 2001 through 2008, which issued several reports, including a report entitled Critical National Infrastructures in 2008. Graham then went on to become one of the nation’s leading experts on the topic, helping advise on both defensive and offensive capabilities. Dr. William Graham was active in the follow-up to the project, working out of the Air Force weapons lab in Albuquerque, New Mexico. After the blast, it was his job to understand the data collected and find out just what had happened in Hawaii and what the defense implications were of this phenomenon. The United States EMP Commission was created by Congress in 2001. The commission is formally known as the Commission to Assess the Threat to the United States from Electromagnetic Pulse (EMP) Attack. The EMP Commission was chaired by Dr. William Graham and many notable scientists participated. In 2008, the EMP Commission released the Critical National Infrastructures Report. This report described the likely consequences of a nuclear EMP on civilian infrastructure. Although this report covered the United States, most of the information can be generalized to other industrialized countries. The 2008 report was a follow-up to a more generalized report issued by the commission in 2004. The United States EMP Commission stated the following very alarming conclusion: “Long-known protections are almost completely absent in the civilian infrastructure of the United States and that large parts of U.S. military services were less-protected against EMP than during the Cold War. In public statements, the EMP experts on the EMP Commission recommended making electronic equipment and electrical components resistant to EMP — and maintaining spare parts inventories that would enable prompt repairs. The United States EMP Commission did not look at the civilian infrastructures of other nations.” In 2011, the Defense Science Board published a report about the ongoing efforts to defend critical military and civilian systems against EMP and other nuclear weapons effects. The sad reality is that America—at all levels of governance—is unprepared for an EMP nuclear attack. Despite the sound recommendations of both the 2004 and 2008 EMP Commissions, U.S. government agencies have not planned for their response to an EMP attack out of the theoretical stages. This is very alarming considering the official consensus on the severity of the threat and on appropriate solutions as articulated by the EMP Commission. DHS and DOE have both independently identified the United States’ vulnerability to an EMP attack, but have neither created emergency management plans nor taken action to better protect critical U.S. infrastructure from an attack. The Department of Defense (DOD) has begun to adopt the recommendations of the EMP Commission, but U.S. forces still remain vulnerable. State and local governments remain unaware and unprepared for the threat of an EMP attack. 1. While the ability of an electromagnetic pulse (EMP) to inflict catastrophic damage on U.S. infrastructure has been a known fact for decades, a survey of congressional, federal, state, local, and international measures to deal with the threat reveals more complacency than action. 2. America—at all levels of governance—is unprepared for an EMP attack. Despite the clear recommendations of both the 2004 and 2008 EMP Commissions, as well as an official consensus among experts, U.S. government agencies have not moved their EMP-response planning beyond the theoretical stages. Initiatives are needed at all levels—from bilateral partnerships that focus on shared infrastructure to national leadership to state and local action. 3. An EMP disaster is the catastrophe that should never happen. The means to address and mitigate the dangers to critical infrastructure are at hand. The United States needs a greater understanding of the danger—and the determination to act. Build Comprehensive Missile Defenses. Maintaining the capacity to interdict nuclear-tipped missiles is the most effective measure to guard against a HEMP attack. The U.S. missile defenses are not keeping pace with the proliferation of threats. It is time to reverse course. Establishing a robust ballistic missile defense is the most effective means of addressing the future threats to the U.S. and its allies resulting from the proliferation of missile technology and weapons of mass destruction. The U.S. must pursue missile defense programs that can intercept missiles in the boost and ascent portions of flight. Among these programs are the Airborne Laser, which is a modified air-to-air interceptor missile, future versions of the Navy’s Standard Missile-3 (SM-3) interceptor, and, above all, reviving the development and deployment of space-based interceptors. Develop a national plan to respond to space weather emergencies. As a 2008 report by the National Academies, “Severe Space Weather Events—Understanding Societal and Economic Impacts,” makes clear, “Modern society depends heavily on a variety of technologies that are susceptible to the extremes of space weather—severe disturbances…driven by the magnetic activity of the sun.” The first step in addressing this issue must be educating the public and policy communities at the federal, state, and local levels about the risks and response options. Additionally, any effective plan will require enhanced, reliable long-range space weather forecasts. Forge a bipartisan consensus in Congress to act on this issue. The response to the EMP Commission’s findings has been uneven within the United States government, with the Department of Defense taking the initiative and the Department of Homeland Security apparently sitting idle. Congressional inaction has contributed to this uneven response. An EMP disaster is the catastrophe that should never happen. The means to address and mitigate the dangers to critical infrastructure are at hand. The United States needs a greater understanding of the danger—and the determination to act. Scott Aaronson is the secretary of the Electricity Subsector Coordinating Council, a group of chief executives from 21 electric companies working with the Energy Department to examine the threat of an EMP nuclear attack on America. Bill Gertz wrote an article titled “Government, Industry, Studying Threat of Nuclear Attack on Electric Grid” which was published in the Washington Free Beacon on May 19, 2016. He explained that U.S. power companies are studying ways to protect electric grids against a high-altitude nuclear blast and other directed energy attacks that could severely disrupt electricity transmission. 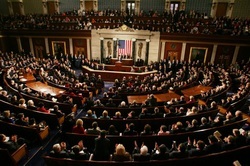 The hearing of the Senate Committee on Homeland Security and Governmental Affair was called to examine threats to critical infrastructure ranging from cyber-attacks and criminal activities to terrorist sabotage and nation state nuclear attacks. Aaronson, whose institute represents all investor-owned U.S. electric companies, said in testimony that electromagnetic pulse is a concern and could be caused by a high-altitude nuclear blast or a directed energy weapon. A previous Government Accountability Office (GAO) study in March 2016 requested greater efforts to deal with the threat of an EMP attack against the electric grid. The report said that both the Department of Energy (DOE) and the Department of Homeland Security (DHS) should work more closely with electric companies on the problem. The GAO report concluded that “DHS and DOE, in conjunction with industry, have not established a coordinated approach to identifying and implementing key risk management activities to address EMP risks.” This is outrageous in view of the national security threat of an EMP nuclear attack upon America by any of its enemies! Peter Kelly-Detwiler wrote an article titled “Failure to Protect U.S. Against Electromagnetic Pulse Threat Could make 9/11 Look Trivial Someday” which was published by Forbes on July 31, 2014. He pointed out that in America today there have been an enormous increase of dependency on electronics, computers, and microelectronics. In fact, the EMP Commission is deeply concerned that such impacts are likely in the event of an EMP attack unless practical steps are taken to provide protection for critical elements of the electric system and for rapid restoration of electric power, particularly to essential services. The United States—at all levels —is unprepared for an EMP nuclear attack or an EMP provoked by solar flares despite its catastrophic consequences. The clear and sound recommendations of the 2004 and 2008 EMP Commissions have been ignored by the Obama administration and Congress, even though an EMP nuclear attack is an immense threat to our survival. This is outrageous in view of the national security threat of an EMP nuclear attack upon America by any of its enemies! Time is of the essence. America needs to spend billions to protect its people. Hopefully, the next president would take immediate action. America must survive and prosper with God’s help! Imagine this: In the not-so-distant future, a large-scale electromagnetic pulse (EMP) attack on the U.S. energy grid wipes out all power in the country. Electronic devices cease to function. No more phones. No Internet. No TV. Credit cards become useless as the entire banking system grinds to a halt. Food, water and mere survival become every person’s primary concerns. Movie director Mike Norris and producer Gary Heavin have imagined such a scenario and brought it to life in their new movie, “Amerigeddon,” set to hit theaters May 13. BILLINGS, Mont. — Government investigators squarely blamed the U.S. Environmental Protection Agency Thursday for a 3 million gallon wastewater spill from a Colorado gold mine, saying an EPA cleanup crew rushed its work and failed to consider the complex engineering involved, triggering the very blowout it hoped to avoid. The spill that fouled rivers in three states would have been avoided had the EPA team checked on water levels inside the Gold King Mine before digging into its entrance, Interior Department investigators concluded. The Associated Press obtained the findings on the Aug. 5 spill on Thursday prior to their public release. The report has implications across the United States, where hundreds of thousands of abandoned mines have yet to be cleaned up. Water flows through a series of sediment retention ponds built to reduce heavy metal and chemical contaminants from the Gold King Mine wastewater accident on Aug. 14. Brennan Linsley / APThe report found that the root causes of the accident began several decades earlier, with changes made by mining companies that altered the flow of groundwater through a series of interconnected tunnels in the extensively mined Upper Animas River watershed. EPA documents show its officials knew of the potential for a major blowout from the Gold King Mine near Silverton as early as June 2014. EPA officials described the blowout as "likely inevitable" because so much water had built up inside the mine. The Interior report directly refutes that assertion and says the cleanup team could have used a drill rig to bore into the mine from above to gauge the danger of a blowout. "This error resulted in development of a plan to open the mine in a manner that appeared to guard against blowout, but instead led directly to the failure," according to engineers from Interior's Bureau of Reclamation who spent two months evaluating the technical circumstances surrounding the accident. The engineers stopped short of assigning fault to any individuals, despite prior claims from EPA Administrator Gina McCarthy that the probe would determine if any negligence was involved. A U.S. Army Corps of Engineers official who reviewed the report expressed "serious reservations" over the EPA's failure to explain exactly how its communications broke down, or to justify why its officials were so insistent on starting the work without more information about the engineering complexities involved. A separate investigation into the spill is pending from the EPA Inspector General's Office. EPA officials did not immediately respond to a request for comment on the report. The accident fouled rivers in Colorado, Utah and New Mexico, temporarily shutting down drinking water supplies and cropland irrigation. Guidelines for cleaning up such mines focus on details such as water sampling and treatment. Yet they have "little appreciation for the engineering complexity" and require but don't receive significant expertise, the Interior Department's 132-page report concluded. Texas Senator Bob Hall hears testimony on Senate Bill 1398 from Kevin Freeman and Frank Gaffney of the Center for Security Policy before the Natural Resources & Economic Development Committee of the Texas Senate. SB 1398 sets scientific and security based standards for electrical grid protection higher than the self-regulating industry standards. Under current regulations there is no goal to make the Texas grid withstand and recover from a catastrophic system wide event. The Texas hearing serves as a vignette for the one of the most fundamental reasons that the nation’s electrical grid is not protected to a level that keeps the public safe in proportion to known threats for which the military has been protecting its critical infrastructure assets for decades. Namely, that those responsible are self-regulating for quarterly earnings interests and not public safety interests. Because the electrical grid is privately owned, the government does not have the power to set realistic safety standards under current law. Here we also see the testimony of the president of the Association of Electric Companies of Texas testify against the bill. Electrical utility associations predictably lobby against safety regulation of critical electrical infrastructure often against the interest of their members and share holders arguing that they have everything under control. In the video you can see that the electrical utility representative acknowledges the threats addressed in the legislation but is unable to claim that the Texas grid is protected under the current regulatory regime. If you would like to express support for SB 1398, call the committee members at the numbers below. WHAT COULD BE WORSE THAN THE DOLLAR COLLAPSE? THIS. I hate to always be the bearer of bad news but while we focus a lot on The End Of The Monetary System As We Know It (TEOTMSAWKI) there is one event that could be more catastrophic and is well within the realm of distinct possibility… actually a virtual certainty. I pointed it out years ago as being the actual number one real, factual threat to human life on Earth and still believe that to this day. And based on a few recent events I think it begets reminding. What I am talking about is an Electro-Magnetic Pulse (EMP). An EMP, also sometimes called a transient electromagnetic disturbance, is a short burst of electromagnetic energy. Such a pulse may occur in the form of a radiated electric or magnetic field or conducted electrical current depending on the source, and may be natural or man-made. The last natural, major EMP to affect Earth was in a solar storm in 1859, also known as the Carrington Event. It was a powerful geomagnetic solar storm that fried telegraph machines all over Europe and North America. At some point we will experience another such solar storm, and some scientists believe that we are already 50 years overdue for another one. Of course, as with “global warming” we also should keep in mind that scientists are often very wrong. But the issue is that an EMP can also be manmade and that is looking like it is a possibility as we discuss below. Getting back to an EMP’s effects, there is obviously a massive difference in the dependence on electricity between today and 1859. Night and day, so to speak. And most of the world’s electrical systems are not constructed to withstand a blast… meaning that if it happened it would be nearly complete pandemonium in any urban centers it affects and the ability to rebuild the infrastructure, even under the best of circumstances (ie. with everything working… which it wouldn’t be) would be years. It literally could put parts of the world back into the stone ages. The natural phenomenon is bad enough but there has been a very noticeable uptick of news items, mostly emanating from the US government and its agencies talking about the possibility. And, often when the US government is warning of something it is more of a threat than a warning. Interestingly, however, there appears to be no noticeable change in the public’s awareness of this potential threat, having been unchanged since 2005 and with little-to-no interest in it whatsoever, outside of the US. This is a real threat which could undermine our entire way of life including new, fledgling ones such as distributed networks like bitcoin. So, we have a mostly scientific opinion that a major EMP will strike Earth from the sun in the foreseeable future, terrorist (government) chatter heightening about a man-made EMP strike on the US and a mostly unaware and unprepared populace. An EMP would change everything. In today’s world having a continent wide multi-year blackout would be worse than even The End Of The Monetary System As We Know It (TEOTMSAWKI). Much worse. The answer to that is, if you live in a large area which does not have electricity for a number of years… the last thing on your mind will be bitcoin. But even then, your bitcoins will still exist - they will just be on useless computer hardware. Over time this could change and your bitcoins could once more be used. But, again, if a large scale EMP happens, that will be the last of your concerns. Billionaire hedge fund investor, Paul Singer, has warned investors, “law”-makers and (mis)leaders about the possibility of an electromagnetic pulse (EMP). Singer argues that no other event, including a nuclear bomb, has the potential to devastate quite like an EMP. And we agree. In this month’s edition of TDV HomeGrown, coming out today, we look at ways to guard against this worst, and most real, of all potential disasters. Questions or comments about an EMP? Join us in the comments section.